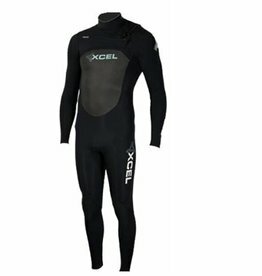 The Infiniti X2 features a watertight X2 front entry system and TDC Thermo Dry Celliant, Xcel’s warmest wetsuit lining ever, in the front and back torso. 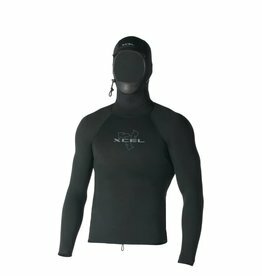 The Infiniti features a watertight X2 front entry system and TDC Thermo Dry Celliant, Xcel’s warmest wetsuit lining ever, in the front and back torso. 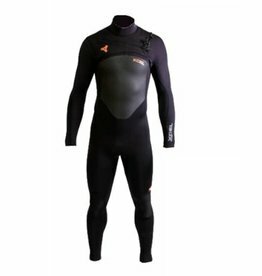 Polypro is the best way to add warmth to your wetsuit, has a similar lining to the 'firewall' found in expensive suits and will keep you longer warm in the water, to be worn under your wetsuit in winter conditions. It’s an engineered fit for maximum performance. Elastic cord side cinch and front loop to tie to boardshort to secure top from riding up. 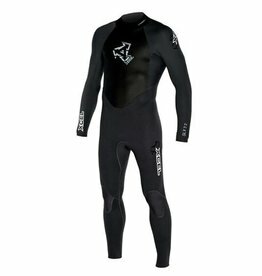 Good summer wetsuit, for a very good price. Water-resistant interlock zipper , attached at one shoulder for more watertight fit. 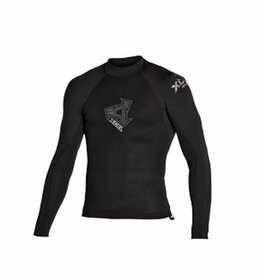 Infiniti X-Zip 2 3/2 mm a versatile 3mm high end wetsuit, designed to keep you warm ,from early autumn to late spring. OS ( Offsett) Zip System: A smarter back entry design. The short zipper offset from the back center neck reduces pressure along spine and neck, especially when paddling. Back zipper with adjustable Velcro wrap collar. 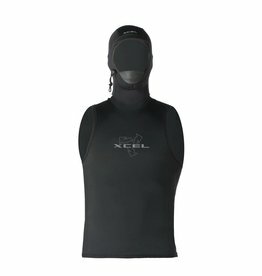 Wind-resistant Texture Skin front chest and back panel. 3mm body, 2mm sleeves, lower legs, and collar. Back zip springsuit, 2mm neoprene throughout. Wind resistant Texture Skin front chest and back panel. Nylon-2 neoprene lower body, sleeves, and gussets. Adjustable Velcro wrap collar provides comfort and protects zipper. All seams are doubled glued and blindstitshed with reinforced stress points. 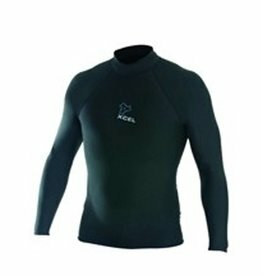 Ideal as a base layer for added warmth, or worn alone as a rashguard, this top features 7.5-ounce, 4-way stretch PolyPro fabric and comfortable flatlock seams.